The passenger of a car died after the driver crashed into the back of a truck in New York. 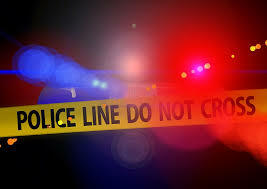 The accident occurred early Tuesday morning on Frederick Douglas Blvd near the intersection of 129th Street in Harlem. A 35 year old woman driving a Mercedes crashed into the back of a milk truck that was double parked. The impact was so strong that the car then crossed over the entire boulevard and crashed into a tree. Paramedics who arrived on the scene of the accident, rushed the two car occupants to the hospital. The passenger, identified as 33 year old Angel Campana died from his injury. The driver only suffered minor injuries to her face. She was arrested on suspicion of drunk driving.